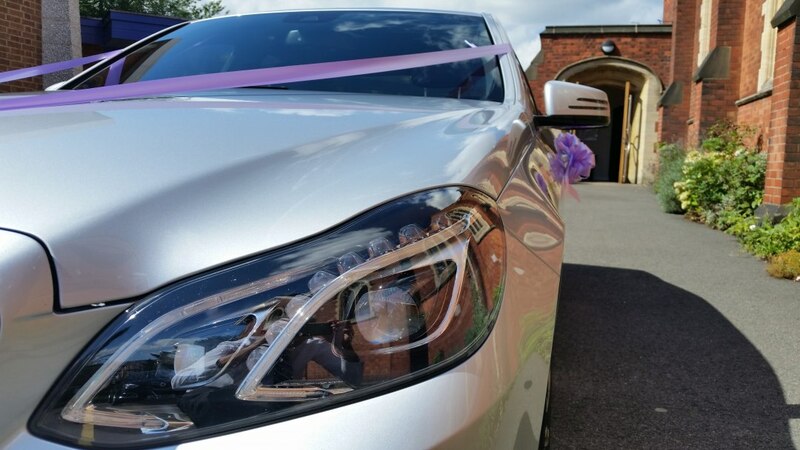 Chauffeur driven modern Mercedes-Benz Wedding Cars for Nottingham. Trimmed with ribbon, bows and an elegant silk floral display in the rear window. 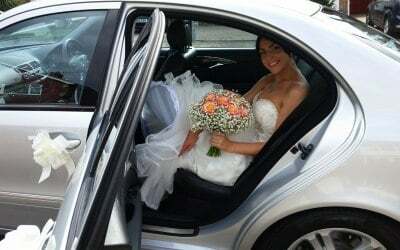 Do you need some help with your wedding car arrangements? If so, you've come to the right place. 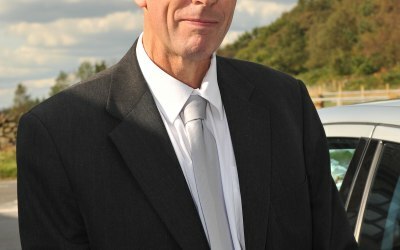 Based in Arnold, Nottingham, I will help you to arrange your journey to and from your wedding venue. Not only that, I can also arrange your Honeymoon Airport Transfers for you. Just call or email me, Phil, today, with contact and a few wedding details and I'll get right back to you. Then, I will carefully create your perfect wedding car itinerary. 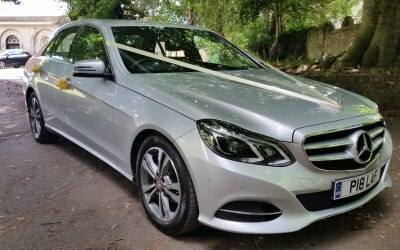 Let me take your stress away, by arranging your wedding transport, leaving you to carry on with the rest of your wedding plans. 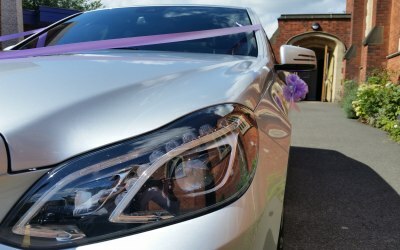 As a guide, each of my brides spends an average of £240.00 on their wedding car. Some spend a little more and some a little less, depending on their requirements. 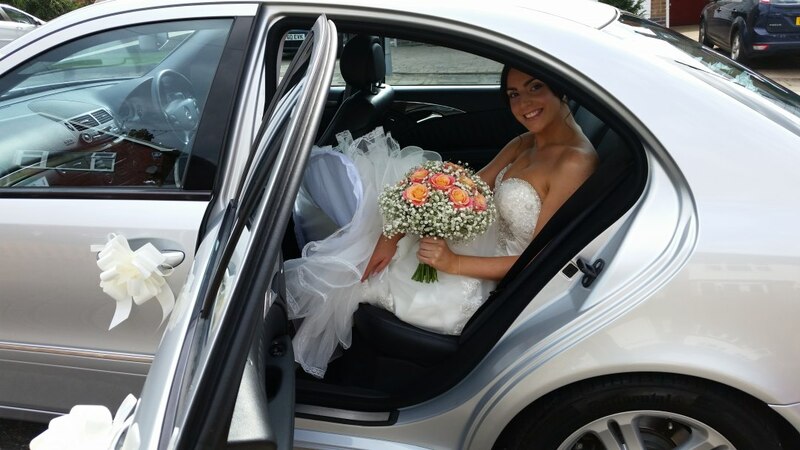 Some brides start with a small requirement and add more to it, such as, an extra journey, for the bridesmaids or a late night pick-up from the reception to a hotel, or a journey to and from the airport, for the honeymoon, as they build up to their wedding. Others prefer to book everything in one go. My prices start at £144.00. I love helping people with their weddings and yours would be no exception, so please, don't delay and get in touch today! 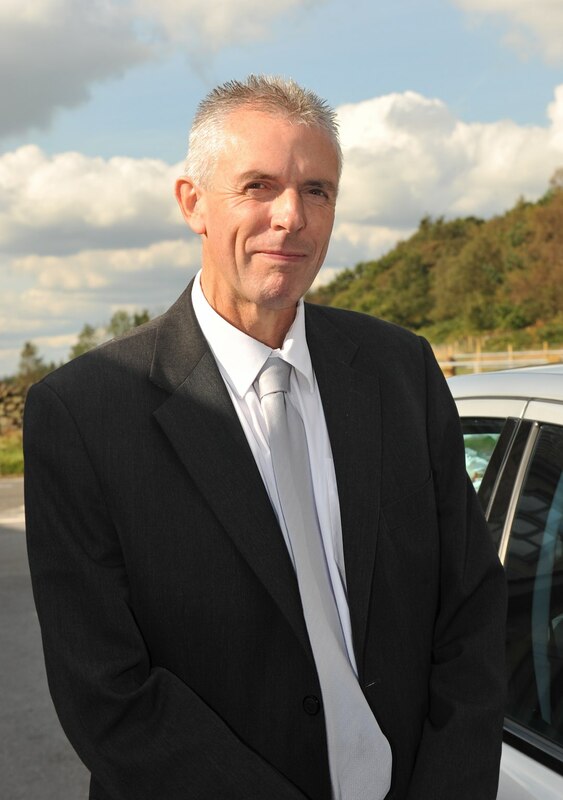 I can help you with journeys to the wedding venue and reception for the bride, bridesmaids and parents. I can also provide you with a late night collection for the bride and groom to a hotel of your choice, a perfect ending to a perfect day! Need help with a journey to and from the airport, for your honeymoon? Take all the stress away and let your honeymoon start from the moment you leave home. You relax in safety and comfort and I'll do the driving. Arrived promptly, very attentive both before and on ceremony day. A first class service. Good communication from the car hire to myself. Prompt and efficient pick up. Thank you very much. Hi Colette, Thank you for the great review. I appreciate you kind words regarding communication, promptness and efficiency. I work hard to provide the best chauffeur service and I'm glad to see those efforts paid off on Billy and Marcus' prom night. 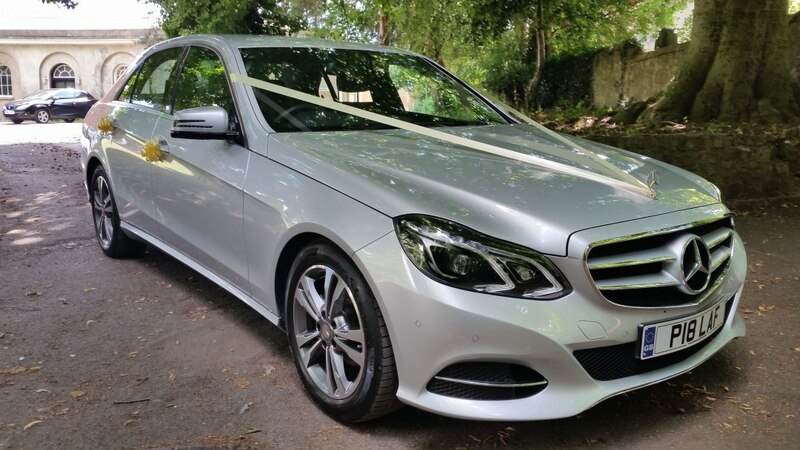 Get quotes from Lafbery's Wedding Car Hire and others within hours.